"As Another said before, it took at least ten years longer than anyone thought, but it's here." Is there a case to be made for Trump actually restoring confidence in America and the Dollar, him being successful in getting our trading partners to buy stuff and not debt (balancing trade) and lowering costs of health care and bringing the federal deficit into balance? Over time of course, but on a trajectory that prevents mass exit from the dollar? That is a great question! I personally think that we are beyond the point of return to financial sanity, but it would make a great post to explore the possibilities. I agree with toolmaker that it is too late. There is a rate of inflation that could make the debt payable but it would be so high that it would interfere with the underlying economy. For one thing our GDP includes a lot of those financial products that we are trying to depend upon less. Back in the good old days < 2000ish, The Fed was (big WAS) in the habit of managing the whole curve via the FFR (by which they used to directly control $IRX). They'd tweak FFR, the short end would react …and the rest would fall into line. Some time around 2004 (as I recall) the Fed tried the old ratcheting of FFR to reverse $IRX …and nothing happened! Mr Market virtually gave the Fed the Bird….and the Fed quickly dropped FFR to compensate. Toolmaker, I guess in my mind if trade and federal spending are credibly on their way to balance then I could see Trump negotiating the existing debt. If Trump could get everyone at the table and have them agree to play along that might be good enough to extend the timeline decades. "Anybody else still watching $IRX?" I find the subject of smoke alarms fascinating. So inventory in GLD is a smoke alarm and short interest rates are a smoke alarm. What are others (GOR, Stock Market, etc)? Have any of these not been disabled? 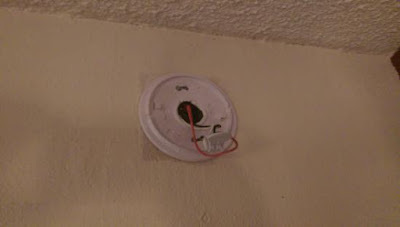 What do you define as a smoke alarm? Is it something on the financial plane that alerts people that something on the physical plane is not in balance? Who/what can disable a smoke alarm? Public sector, superproducers, etc…?? How is this different from private or public structural support? Do smoke alarms alert people to the fact that the USD/IMF$ room in the house is burning? Does structural/willy nilly support simply keep the fire at bay in the USD/IMF$ room? Seems like the currency fire has been contained since at least 1978, but the smoke keeps seeping out of the room. Smoke alarms are like visible symptoms of an underlying condition that is causing the symptoms. Turning them off is like treating the symptoms while ignoring the disease. This presents the appearance of health while allowing the disease to progress and spread unseen. It's like giving a football player a shot in his injured knee and sending him back out to finish the game. The $IMFS is old, and we know why it lasted so long. Over the years there have been many "end of life" symptoms (or smoke alarms) that have been treated, but none of these treatments actually fixed anything. Again, we know why it lasted so long, and it wasn't because of these band-aids. Backwardation, GOFO, GLD inventory, $IRX, and I'm sure there are more that I am forgetting or am unaware of. In some cases, I think they turn off the smoke alarm because they know there's trouble brewing and they see people watching and commenting, which annoys them. In most cases, however, I think they truly believe that treating symptoms will somehow make the disease go away, like turning off the smoke alarm will somehow put out the fire. But we know better. The GOR or Gold/Oil Ratio is a little different. 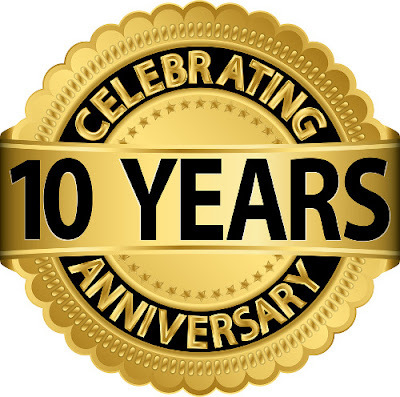 For 70 years, from 1946 to 2016, it stayed in a band ranging from about 9 to 29, and in hindsight, it looks like the times it hit the extremes of that band were probably times of systemic stress, for one reason or another. But in 2016, it shot up to something like 43, which was just mind-blowing. But the reason was simple. Oil had dropped below $30 while gold rose to $1,250. 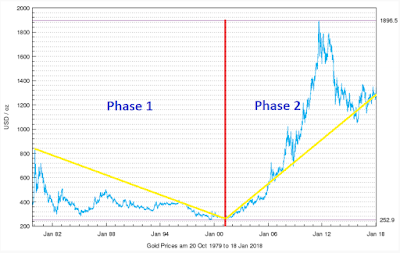 Since that time, the gold price has been steady and range-bound, within 10% in either direction, while the oil price has risen by almost 150%. The GOR is back at 19. But I don't think the system is more stable today than it was two years ago. My point is that I don't think the GOR is relevant anymore. It's just a ratio of two commodities that have no reason to correlate anymore. 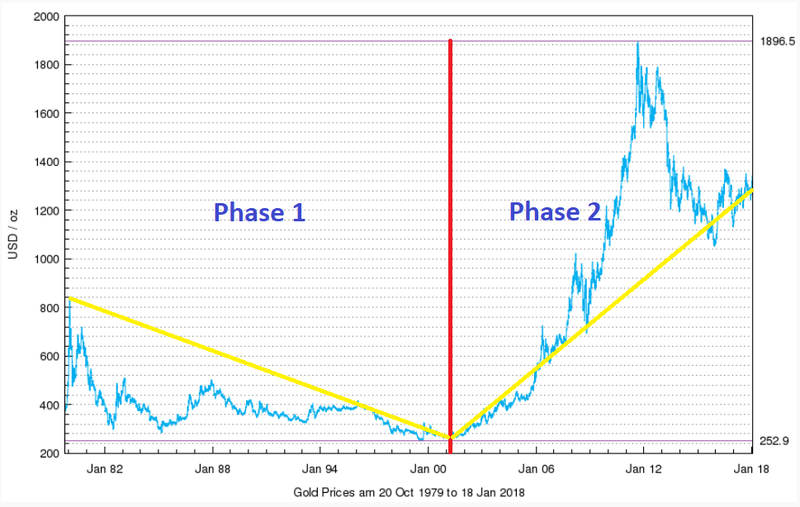 In hindsight, even though gold and oil continued their correlation for another 15 years, I think it stopped being relevant at the end of Phase 1, which is around the same time that Another said the oil for gold deal ended. So the GOR was never really a fire alarm per se. It was just another commodity correlation that nobody really paid any attention to, except for a few of us who followed Another's thoughts. And it wasn't so much disabled as it simply became irrelevant when the gold for oil deal ended. It will still be interesting to watch as the $IMFS falls apart, but I don't think it will have any predictive value in and of itself. The $IMFS is the dollar reserves system, and it is built upon the rest of the world (ROW) using US financial assets as the reserves for defending their currencies in lieu of fixed exchange rates, i.e., the dirty float instead of predetermined, agreed-upon, IMF-set exchange rates, like we had under Bretton Woods. This system made US financial assets the best bet in the world, because whenever the private sector panicked out, the foreign public sector would step in and prop the system up. So now it's not just foreign CBs holding our financial assets, it's savers, investors, pension funds, and everything you can imagine, all over the world, unwittingly propping up the rickety old $IMFS. I truly believe that the foreign public sector is done with the dirty float. Not because they want to destroy the $IMFS, but because they now want a clean float, because they believe that a clean float will solve their many problems associated with economic stagnation under the strong dollar. So now I'm just waiting for the private sector to panic out again. There's nothing President Trump can do to cure the disease. Everything is overvalued. It's what some have called the "everything bubble" (see this post and the section titled Bubbles Built on Bubbles Built on Bubbles for more). How long have runs like this lasted in the past? By some metrics, we are well past that point now. We are in uncharted territory. We are living inside an everything bubble in search of a pin, bouncing around in a world full of pins. Even if we could somehow wean ourselves off of our trade deficit, that wouldn't fix the underlying problem. The trade deficit itself is merely a symptom, as is the everything bubble. Our trade deficit, which is currently around $560B per year, is essentially the mirror image of foreign funds flowing into our assets, into our debt, making it cheap to borrow and live off our own little personal Ponzi schemes, into our companies (through the stock market and FDI) overvaluing them and making them unprofitable based on the market price, and into our real estate and other things (see this post for more on the concepts of overinvestment, overcapacity, overvaluation and unprofitability, and how they caused Global Stagnation). US assets are a bad investment right now because they are presently overvalued based on normal metrics, and are basically unprofitable investments at their current valuations. That's why it's called the "everything bubble". So how do we eliminate that $560B/year inflow into our overvalued, unprofitable assets without crashing the markets and thereby decimating pensions and IRAs across the board, while simultaneously raising companies' real value up to meet their nominal price, thereby eliminating the overvaluation, without decimating the currency's purchasing power in necessities? Is that even possible? Is it possible that andrewe1's proposal could accomplish that: "…getting our trading partners to buy stuff and not [our financial assets] (balancing trade) and lowering costs of health care [etc…] and bringing the federal [budget] deficit into balance? Over time of course, but on a trajectory that prevents mass exit from the dollar?" This is a very complex, dynamic problem to consider. There are lots of moving parts that are geared in opposing directions. You must think about salaries, price inflation, asset deflation, and so on. When you think about becoming competitive with, say, China, you've got to think about the salaries of our workers versus theirs. How do you become competitive without either raising the cost of their goods, or lowering the cost of ours? Taking a pay cut is no better than facing price inflation, in fact, it's worse from a psychological standpoint. But think about it, because they're basically the same. If your income stays the same nominally but prices rise, it's the same as if prices stayed the same and you took a pay cut, but the former's easier to swallow than the latter, even though they're the same. My point is to get you thinking along these lines in terms of the US becoming competitive again with, say, China (and the ROW). If you could somehow magically raise their salaries (China's workers) so that you didn't have to lower your own, then their goods are going to become more expensive (price inflation), so even though you've kept your pay nominally the same, prices have gone up, so it's exactly the same as if prices stayed the same but your pay was cut down to their level. We could raise the cost of Chinese products inside the US, making them less competitive than US products (at least here in the US), by imposing tariffs, but that's just going to raise prices without raising their (China's workers') ability to buy our products. So, again, it's the exact same as if you got a pay cut, only in real terms, not nominal ones. What it is, in fact, is a transfer of purchasing power from the US private sector to the USG, because they're the ones collecting the tariffs. Think about it. This is what the $IMFS was all along. It was a transfer of our private sector purchasing power to the USG, which was able to grow and expand, virtually without limit, while our private (manufacturing) sector was scrapped, gutted, hollowed out and left to rust. Think about this in terms of today's situation. As of today, we are facing a federal budget deficit of more than twice the trade deficit. The trade deficit right now is about $560B per year, and the federal budget deficit in the first half of this year alone was $598B. Right now President Trump is aiming for a lot of great things, but a balanced budget is not one of them. The Treasury may have to sell a trillion dollars in debt this year, and they may have to do so without the help of foreign central banks. As I said, the foreign public sector is busy "free floating" right now, which means it's not buying US Treasuries. In fact, "Foreign Official" is at the exact same level as it was in 2013. Foreign CBs are flat for the last five year. The foreign private sector Treasury holdings are up about $570B over the same five years, but our trade deficit was $2.517T during that time. So if $570B of that went to the USG, where did the other $1.947T go? Just kidding. ;D Of course it has! The Dow has risen 9,508 points, or 62% over the last five years! I can't say how much influence the inflow of $1.947T of foreign investment money had on that 62% gain in the stock market, because I have no idea, but I suspect it had some. What do you think? Are Americans alone saving enough of their income to keep pumping this Ponzi scheme higher and higher? Of course, we don't actually have to save that money. We can theoretically print all the money we need. In fact, we'll probably need to do that for the USG's budget deficit this year. For the stock market, it's not quite that simple. Yes, the PPT does exist, and yes, the bond market is larger than the stock market, but for various reasons, the bond market is more manageable than the stock market would be, theoretically of course. It is for this reason that I think it will be the stock market that implodes first in the great cascade of implosions. The last 18 months have confirmed that the stock market is its own animal, which cannot be tamed. For anyone who thinks that the stock market can be controlled (and of course it can be manipulated in the short run in many different ways, but that's not what I'm talking about), don't you wonder why no one has made it crash yet, just to make Trump look bad? It's because it can't be crashed like that, not with intent, not like popping a bubble, like in 1987, 2001 and 2008. And just as it can't be popped with intent, when it finally blows, it won't be able to be stopped with intent, at least not initially, like the Fed was able to stop OBA's "upside-down 'future' world of negative IR's" from happening. But I digress. The stock market bubble is just another symptom of the underlying problem, not the problem itself. So even if they could (theoretically) keep it going up forever, that wouldn't stop the inevitable from happening. I only mention the stock market because I think it will be our first indicator that the end is upon us. It's like the one smoke detector they cannot disable. I know, it seems like they've got it under control because it keeps going up, but trust me, it's doing that on its own. If we're being honest with ourselves, the real question here, the one that prompted this thread, is what could President Trump or the ROW do to permanently delay Freegold, to keep the $IMFS going indefinitely? It seems like it has been delayed indefinitely so far, so what are some possible scenarios going forward that could prop up this rickety old façade for the next 20 years? Andrewe1 suggested reducing the trade deficit, lowering costs like health care that don't need to be like they are today, balancing the budget, and renegotiating our existing debt, so let's start there. As I said above, this is really about becoming competitive again. The question is, is it possible to regain our competitive edge without a devaluation of the global reserve currency and a financial system reset? Becoming competitive again would bring about all of the things andrewe1 desires. And a global reserve currency devaluation and financial system reset would make us competitive again pretty quickly. But can we get there another way? That is the big question. Are we really uncompetitive? I was about to say, "not in the financial plane," but even there we are basically a monopoly, which is the ultimate in being uncompetitive. Our financial wizards are overpaid, and our financial products are overpriced, overvalued and unprofitable. But it's in the physical plane where we really lost our competitive edge. The "alarm disabling" we already talked about was simply a natural byproduct of this slow loss of competitiveness over many years, due to the continuous structural overvaluation of the dollar. The consequence of the overvaluation of the dollar was the absolute gutting of the real physical goods production in the American economy, and disabling the warning alarms kept annoyances to a minimum. The primary beneficiaries of this structural overvaluation of the dollar and gutting of the real US economy were the USG, and the political class in foreign countries like China. The USG received unlimited spending and growth potential as the bulk of the capital inflow from the trade deficit fed right into its ever-expanding budget deficit. A "deficit without tears," as someone once called it: "The informal Dollar Standard which succeeded Bretton Woods has allowed deficit countries, such as the US, to consume more than they produce and surplus countries, such as China, to produce more than they consume." As a result, Changzhi’s cement plants are saddled by excess capacity. Companies in the province can produce three times as much cement as what was actually needed in 2014, according to the Shanxi Provincial Association of Building Material Industries. Two-thirds of them lost money in that year. 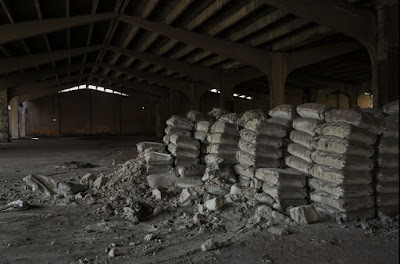 Discarded sacks of cement in a warehouse at the abandoned 7016 Cement Factory, a state-owned enterprise near Changzhi, China. It opened in 1958 and closed in 2010, leaving over 500 workers unemployed." Leaving aside the politics of the current tariff debate, tariffs are interesting to consider in the abstract, in the context of this post. Tariffs are basically like a sales tax. They raise the price of something by slapping a government tax on it. Different from a sales tax, however, tariffs target imports. The reasoning behind it is to raise the price of imports that are more competitively priced than domestic goods of the same kind in order to make them less competitive, and make domestic production "more competitive" in the process. Tariffs raise prices, which will probably lower overall demand inside the country imposing them. But like I said, they are targeting imports, so while they lower overall demand, imports take the hit while domestic production gets a boost, so demand for domestic goods of the same kind is likely to rise. This can be good, under certain conditions, from a jobs and manufacturing standpoint, which is why it's currently being done. But they still lower overall demand by taking purchasing power away from the people inside the country imposing them, and transferring that purchasing power to the government of the country imposing them. Like I said above, that's basically the same thing as taking a pay cut. The catch is, though, while you've lowered your standard of living by (in effect) taking a pay cut, you haven't actually become more competitive. You've only become (quote-unquote) "more competitive". You simply can't recover what you lost in manufacturing over 40 years by making yourself poorer, and then selling to yourself. You need to be able to sell to others. You need to become competitive again. Like I said, like it or not, we do now live in a global marketplace. Now, let's go back to what the $IMFS actually is. The $IMFS is the use of US financial assets externally. It is the ROW buying our financial products. But there's this thing called the BOP, or Balance of Payments, which says that if the ROW is buying our financial products, then we must be buying their physical plane products. The BOP is not a rule, it's an observation. So if we're buying less of their physical plane production, then they are buying less of our financial system production. How can this be? The answer is, prices. Real prices. Relative prices. Imagine, hypothetically, we suddenly stopped 99.999% of our import buying, but the ROW kept buying our financial products hand over fist. There are two ways that could work. Our import buying is now worth almost zero, therefore our financial product exports would drop in price to almost zero. That's hyperdeflation. The other way is that the 0.001% of imports we're still buying rises in nominal price to equal the nominal value of our financial exports. That's hyperinflation. In essence, the ROW buys our financial products with the money it gets from our net purchase of imports, our trade deficit. It buys our dollars with its goods. So if we could somehow hypothetically end that intentionally (through super-tariffs or something), then they would have to buy our dollars with their foreign currency in order to keep buying our financial products. That would send the dollar to the moon, which is not a good thing for debt repayment, the economy, and things like that which hold the financial system together. That's the unlikely hyperdeflation scenario. In the other scenario, our net imports drop to zero in real terms because the ROW stops buying our financial products. In nominal terms, the prices can be much higher than today, both for real stuff and our financial products. The stock market could go to the moon in nominal terms, and still be worthless in real terms. That's the likely hyperinflation scenario. So, you see, we can't just intentionally stop buying imports to save the $IMFS. When the $IMFS ends, our trade will balance. It doesn't follow that balancing our trade preemptively can prolong the $IMFS. The imbalance is the $IMFS. One of andrewe1's prescriptions for prolonging the $IMFS was cutting the cost of healthcare, a noble endeavor regardless. In fact, healthcare is currently 18.2% of GDP. That compares with 8.9% in 1980, and 6.9% in 1970. Americans spend nearly twice as much on health care as other wealthy countries. I'm sure there's plenty of room in there for cutting. But remember, part of slithering out of this unscathed is not crashing financial markets and decimating pensions and IRAs around the world, and our bloated healthcare system is a big segment of those markets. As MdV said, our GDP is entangled with our financial products. 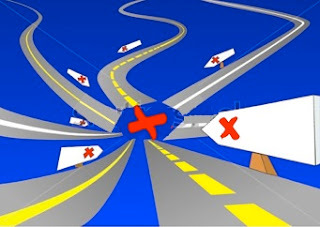 If you could somehow magically lower the cost of healthcare by decree, it would lead to the immediate collapse of the stock price of the healthcare sector companies, immediately followed by their suppliers, and the service companies that service those employed in the medical field—a domino effect that would trigger a crisis. When the $IMFS ends, the cost of healthcare will be lower. It doesn't follow that lowering the cost of healthcare preemptively can help prolong the $IMFS. It would have the opposite effect. 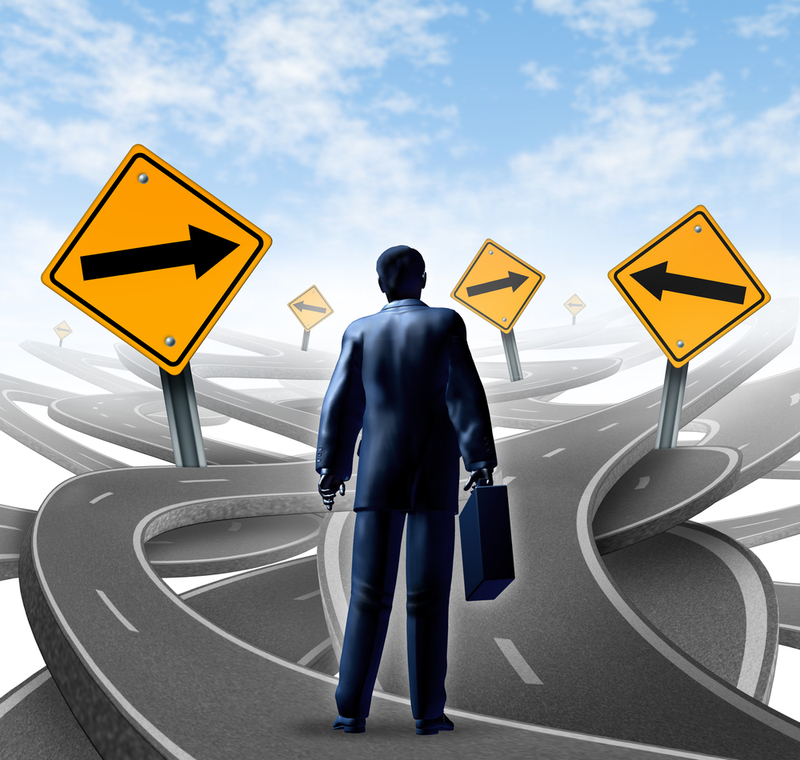 The status quo, with all its many faults, is inextricably linked to the $IMFS. Another of andrewe1's prescriptions for prolonging the $IMFS was bringing the federal deficit into balance. Well, cutting spending is not politically and socially feasible without riots. President Trump isn't doing it anyway, and neither is Congress. And getting the economy to grow enough and create enough jobs and new taxable income without becoming competitive from a physical plane standpoint is out of the question currently. Setting all that aside, however, the federal deficit has been the linchpin of the $IMFS for 43 years now. The USG spends more than it takes in so that the rest of the world can save! Isn't that what the $IMFS has been mostly about? When the $IMFS ends, our federal deficit will be brought into balance. It doesn't follow that balancing our federal deficit preemptively would prolong the $IMFS. It would probably have the opposite effect. While we're playing out possible scenarios that could prop up this rickety old financial façade for the next 20 years, might as well throw some science fiction into the mix. How about unlimited cheap fusion power, made by Toolmaker, or robots producing stuff instead of humans? Remember, in the Star Trek future, money is unnecessary. "This Glossary of Broken Dreams filmmaker is clearly a Marxist, pretending to be a centrist, redefining the center as economic Marxism by disavowing historical Communism. He’s anti-competition (because AI can do it better), anti-private property, anti-privacy (which is related to materialistic, bourgeois ideas about private property), he laments the death of the “workers movement”, he's anti-free speech (even says there was free speech in East Germany, you just had to do it secretly), and he celebrates everything about the no-privacy facebook generation, basically saying that personal privacy is passé. He makes fun of what he views as the hard right and the hard left in his pretense of being a centrist, but he clearly thinks Trump and the right are racists. There’s one line that stuck with me where he said, “guaranteeing the free speech of Nazis does not guarantee the free speech of Antifa.” He even makes fun of free speech with a protest sign that says Freeze Peach. At 1:17:20 he goes full retard with a skit that’s apparently supposed to be Trump and two advisors, portraying them as evil, then he breaks into a song about Hitler and Nazis. He ends the movie by going full-Star-Trek, disavowing “the left” by saying they won’t be needed anymore, because AI will eliminate the need for work and capitalism altogether. But don’t let my opinion stop you from watching it. I’d love to hear what you think after you watch it!" In the end, someone must own the technology, including the robots. Could be individuals, could be the state, but someone controls the technology. And if they're human, even if everyone has a non-poverty standard of living, if one owns the technology and gets the profits from the technology, then that's a surplus that needs to be stored for old age, for future generations, for when the technology changes and the profits dry up, or simply for the unknown. It's basically the same story from every age, but with different technology. An asset that can carry purchasing power through time is still needed, whether it is today for old age, or tomorrow for getting a better spaceship or a nicer part of terraformed Mars. Nothing changes. Even if nobody has to work, there are still surpluses and people who have a better lifestyle. The base living standard just goes up, just like the average person's standard of living today doesn’t even compare to 100 years ago, let alone 1,000. 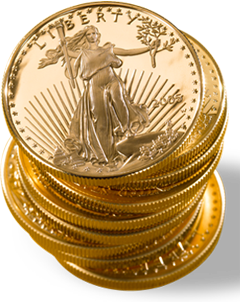 One of my favorite sayings is, "Hyperinflation/Freegold will fix that." The world today is upside down and backwards, and whenever my wife points out something totally absurd, or I point it out to her, I say my favorite saying. It's because the $IMFS has enabled and financed so many absurdities that virtually all of them can be traced back to it one way or another. And with the collapse of the currency and the financial system will come many immediate changes, and those things that don't change immediately will at least be reversed and set on a better course. Most people around here would say such changes are positive, desirable things. But it is illogical to say that if those things could be fixed without hyperinflation/Freegold, then hyperinflation/Freegold could be avoided. In most cases that I can think of, if you could somehow preemptively fix things that a collapse of the $IMFS would otherwise fix, or even just set them on a better course, that would be more likely to trigger the collapse of the $IMFS than to prop it up. I think President Trump is a good case in point. We can see him making some changes that many around here would say are positive, desirable things. In some cases, he wants to fix things that a collapse of the $IMFS would fix, like the trade deficit. But as I've already shown, if he could somehow magically eliminate the trade deficit, that would actually trigger the collapse, not postpone it.